Tonight I attended the 27th annual HIV/AIDS Candlelight Memorial Service at S. Matthew-in-the-City here in Auckland. While we know that HIV/AIDS is not a disease unique to the gay community, the emphasis of the memorial was definitely on the impact that HIV/AIDS has had on the wider gay community here in New Zealand and abroad. As I sat there in this beautiful (Anglican) Church in the middle of New Zealand’s largest city, my mind began to tick over. I thought and reflected on many things, from the church’s action, or inaction in regards to the Homosexuality “issue” to the church’s unwillingness to make a definitive and prophetic statement on the “issue” of ordaining openly LGBT people. As I mulled over these ideas my mind turned to the upcoming Common Life Missions Conference that is to be held here in New Zealand in the coming week. While I have my own ideas on mission (mainly that of missioning to our own people before going overseas) it was not to those ideas that I instinctively turned, instead it was to the keynote speaker of the conference, the Most Reverend Ben Kwashi, Archbishop of Jos. ++Kwashi is probably most famous for the attacks that were carried out on him and his family during the religious unrest in Nigeria. He is also known as a motivational and electric preacher, evangelist and anti-gay cleric. This, to say the least, is cause for concern for myself and I hope the wider church in Aotearoa- New Zealand and Polynesia. As ++Kwashi is the keynote speaker he is not here as a tourist, or visitor but as a (Arch)Bishop of the Anglican Church on an official visit. While this may all seem benign and he is simply here to inspire the conference with his powerful voice and electric charisma I genuinely think Anglicans across Aotearoa should be concerned for the message this sends to the international community and, probably more importantly to our LGBT brothers and sisters here in New Zealand. Our reception, and invitation no less to ++Kwashi sends the message that we support him, his diocese and by implication the church in Nigeria. Their views on Homosexuality and their lack of prophetic witness especially in light of the recent, sexuality fuelled violence in Nigeria is reason enough for us to maintain our distance from the Nigerian Church. So to invite a bishop of the church of Nigeria to Aotearoa- New Zealand flies in the face of what I thought it meant to be Anglican in these islands. Some time ago the presiding bishop of TEC, Katherine Jefferts-Schori visited New Zealand. Not on an official visit, not to speak at a Missions conference, not on an official invite but as a “private citizen.” It even went so far that in one diocese of the Church in New Zealand she was forbidden from not only preaching (to which she was invited to do so by the Dean) but from entering the cathedral at all! While I can think of one reason(I wonder if the Nigerian Church’s stance towards TEC had anything to do with it?) for her not being here in an official capacity the fact that ++Kwashi is being shown more hospitality than the presiding bishop of TEC was even offered also sends a bad sign to the church in Aotearoa. It says that we are willing to fall into line for the biggest bully on the playground (Nigeria is the second largest province in the Anglican Communion) rather than prophetically support those on the margins. In short, we are willing to sell our soul to be popular with the right people. Even if we were to ignore the issues I have already raised there are still several other reasons why I think it is absolutely ridiculous for ++Kwashi, or any bishop from Nigeria for that matter, to be received here in an official capacity. In 2005 the Nigerian Church reworded its constitution to redefine its view of the Anglican Communion. It no longer recognises provinces who are in Communion with Canterbury as part of the Anglican Communion but rather “all Anglican Churches, Dioceses and Provinces that hold and maintain the ‘Historic Faith, Doctrine, Sacrament and Discipline of the one Holy, Catholic, and Apostolic Church.” What does this statement even mean? From my reading of this part of their constitution it would mean that the Province of Aotearoa- New Zealand and Polynesia aren’t even a part of the Anglican Communion according to the Nigerian Church. Why then are we even entertaining the remotest idea of receiving a bishop from the Church of Nigeria here in an official capacity? Not only is the Nigerian church redefining what it means to be Anglican, they are themselves contradicting the Anglican tradition that they profess to be so fervently defending. 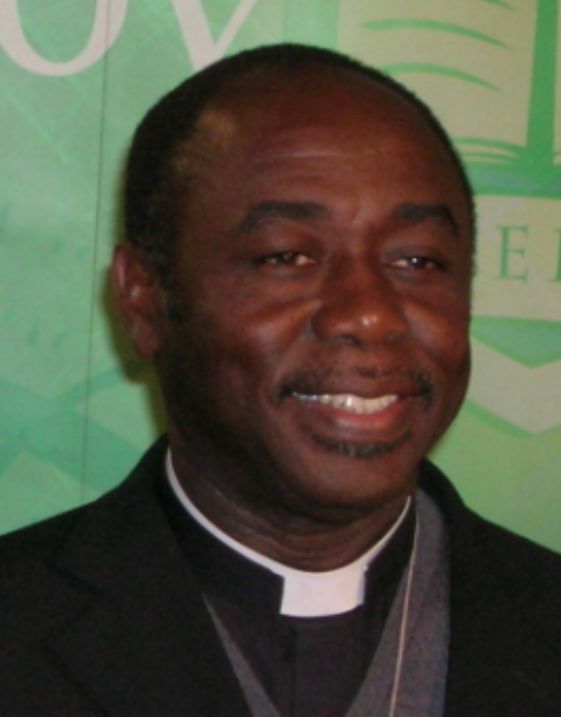 In 2006 the Reverend Martyn Minns was elected by the Church of Nigeria as the Missionary bishop for the Convocation of Anglicans in North America. Minns was consecrated in Abuja, Nigeria and installed as Missionary Bishop in 2007. That consecration and installation alone is a more schismatic act than anything ever done by TEC or any LGBGT clergy and yet we, the Church in Aotearoa- New Zealand and Polynesia are content to invite ++Kwashi not only to attend the conference but be the keynote speaker, the mind boggles. I was expecting a few things when i decided to attend the candlelight service tonight; a predominantly LGBT congregation, a reflective mood and a good service, and I was right. What I wasn’t expecting however was the type of reflection that occurred. I wasn’t expecting to be challenged, I wasn’t expecting to be thinking about the state of the worldwide communion and I certainly wasn’t expecting to write a blog post when I got home. So I thank God for the time and the opportunity to reflect and remember. Not only about the horrors of HIV/AIDS but also to reflect on the challenges that face the wider church and all of us that call it home. As I write this I am mindful of those who are affected by this horrible disease, both the sufferers and their loved ones. But mostly my mind turns to those who fought their battle with courage and strength and who are now at rest. Eternal rest grant unto them O LORD, and let light perpetual shine upon them. May the souls of the faithful departed rest in peace, and rise in glory.